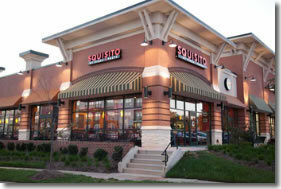 Squisito® is the place to visit or call for a mouthwatering pizza, pasta, salads and sandwiches. Our family recipes are made fresh for you! You'll fall in love with our authentic Italian dishes served with just the right touch of all the best and freshest ingredients. Our authentic Italian recipes, high-quality ingredients, clean environment, great customer service and competitive prices are what sets us apart from the rest. 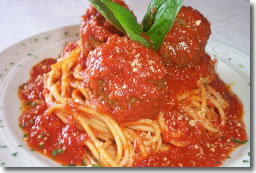 All of our food is made to order, from our salads to our generous servings of pasta dinners. 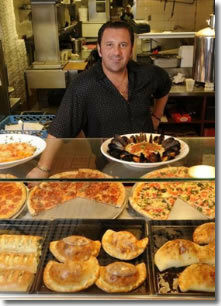 We are dedicated to providing only the best tasting Italian Pizza and entrees. Our initial training program consists of approximately four weeks of classroom and on-site training at one of our affiliate restaurants in Maryland. We request that you and two of your mangers attend training. In addition, we will provide you with one of our trained team members at your site for up to 14 days (to be scheduled around your opening). Your training program is intensive and includes: Recipes and Prep Procedures, Quality and Service Standards, Inventory Procedures, Equipment and Safety, Brand Compliance, Food Safety, and Sanitation and Health Code Compliance. The training program will ensure that you are ready to open and run your Squisito Pizza & Pasta restaurant with complete confidence from day one. 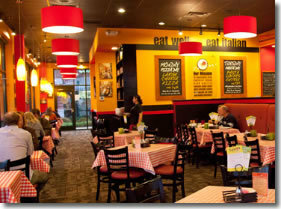 Click on Request Information for FREE info on how to open a Squisito Pizza & Pasta franchise today! Please Note: This Squisito Pizza & Pasta franchise opportunity and other franchise business opportunities, businesses and franchises for sale on this web site are not to be considered as an "offering", "franchise offering", suggestion or recommendation by Franchise Leader™. This advertisement depends entirely on the truthfulness of the information provided by our advertisers which includes, but is not limited to, franchisers, franchise brokers, franchise consultants and business brokers. Franchise Leader™ recommends that you consult a lawyer, financial consultant, accountant or professional advisor before buying a franchise or business opportunity or any type of business. By using this form or any part of our website, you have agreed to all terms and conditions of Franchise Leader™. Please review our Terms & Conditions for more information.